As Jeff Sessions was forced out of his attorney general position and Matthew Whitaker steps in, Robert Mueller’s Russia probe is under high pressure. However, sources close to Mueller say he may be ready to start presenting indictments, per Newsweek. “I think the Whitaker appointment steps up the timeline, and I think perhaps if Mueller sticks to the strategy of telling us the story through indictments—the indictments speak to us—that he’ll speak to us soon, very soon, with additional indictments, perhaps that tell the story of a corrupt president,” Figliuzzi said. 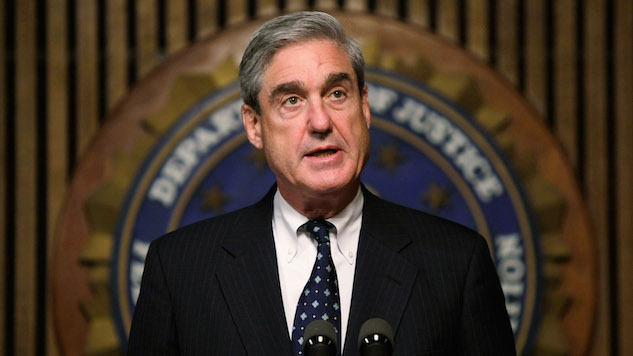 This falls in line with information we received a few weeks ago, when other sources said Mueller would be ready to present key information right around the midterms. It’s a race against the clock at this point, as many speculate Whitaker will use his newfound power to try and shut down the Russia probe, negating all of Mueller’s work and leaving the possibility of Russian interference in the 2016 election up in the air. That being said, Mueller is well aware of that fact, which is exactly why many think he’s ready to show his hand—some even suspect he’s going after Donald Trump Jr.